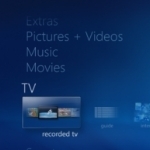 If you are using Windows Media Center regularly on XP, Vista or Windows 7, you may now want to take note that changes are coming to the media player in Microsoft’s upcoming operating system Windows 8. According to a recent blog post on the Building Windows 8 blog, Windows Media Center will only be available as a (paid) feature upgrade on Windows 8. That in itself may be a big issue for users who made use of the software to record TV shows, playback their video collection, view photos, listen to music, or who have been using some of the plug-ins to integrate third party services like Netflix into the media player. Everything Microsoft Microsoft Windows 8 Media Center, Windows 8, Windows Media Center. permalink. They might be surprized at how many will just go over to free soultions like VLC, other then opt to pay for it from the Windows store. Seems a lose to me on their part and not very well thought out. VLC gives you everything you might need to. Black Ice was way to powerfull for the Machines of that day. Tech had not caught up with software back then, now software is trying to keep up with Tech. This is switching back around with Windows 8 now. It’s just a bit ahead of it’s time, though microsoft even said they had developed this for the Phone and tablet markets and PC was really a second thought.